There are a lot of factors that go into a customer’s decision to make a purchase from your company. And nowadays, when it’s fast and easy to make purchases online without ever connecting with a sales rep, the internet does the selling for you — and that can have a huge impact on if a customer purchases from you or not. The fact of the matter is, your company’s best marketers and sales reps aren’t your employees — they’re your customers. According to BrightLocal, 85% of consumers trust online reviews as much as personal recommendations — the single most trustworthy and credible source of “advertising” out there. And HubSpot Research found that 60% of consumers believed customer reviews were either trustworthy or very trustworthy — meaning that businesses that can accumulate positive reviews had a good chance of them helping a customer make a purchase decision. The same BrightLocal survey found that positive customer reviews make 73% of customers trust a business more, and 57% of customers visit a company’s website after reading positive reviews. That also means that, in order for businesses to grow in today’s competitive, online-first marketplace, they need happy customers sharing positive reviews of their experiences in order to even get visitors coming to their site for the first time. Before potential customers even make it to your website to learn about your business, make sure they can learn about you no matter where they’re conducting online research about making a purchase. BrightLocal found that Yelp and Facebook were consumers’ most trusted source of customer reviews in the U.S., so make sure your business is registered and up-to-date. You can learn how to claim your business (or add it, if your business is brand-new) using Yelp for Business Owners. Make sure you’re regularly monitoring communications coming from this profile — responsive business owners are highlighted with an average response time and response rate that could encourage readers to move forward in the process towards becoming a new customer. You should also claim your business’ Facebook Page so potential customers can find you to learn more about you without having to leave their social network. This is another site that rewards high levels of responsiveness, so make sure you assign someone to monitor incoming messages across the channels you’re trying to optimize for new customer acquisition. Next, use Google My Business to claim your business on the world’s biggest search engine, where potential customers might find you if they’re searching for information on Google, or searching for directions in Google Maps. (This is of particular importance to brick-and-mortar businesses trying to attract foot traffic — learn more about local SEO in this blog post.) People also leave reviews using Google, which appear in the search results for your business. If you’re an Amazon seller, make sure to claim and customize your Amazon page. Amazon serves up a lot of different results for different searches, so make sure your Amazon page tells your business’ story the same way your website does. If a shopper finds your brand over the course of an Amazon search, make sure your Page highlights product details, testimonials, and reviews. For businesses in the U.S., Mexico, and Canada, you can register with the Better Business Bureau — another highly trusted source of customer reviews. There are also industry-specific review sites you should claim if they’re popular within your business’s vertical — such as TripAdvisor and Oyster in the travel and hospitality industries, G2Crowd and Capterra in the software industries, and OpenTable and HappyCow in the restaurant industries. Make sure your contact information, website, hours, and key offerings are available on these more niche sites, too. Your customer reviews might be coming in unsolicited from happy — or unhappy — customers on third-party sites. But once people are already on your site, make sure it’s easy for them to leave reviews there, too. If you’re asking for customer reviews via email, keep the asks short and sweet. Offer incentives to make your customers want to write a review — such as discount or coupon codes, entrance into a contest for an even bigger prize, or gift cards for coffee, online shopping, or cold hard cash. Make sure you’re soliciting customer reviews at the right moment in their journey with your business to get optimal results. Don’t email your customers to ask them to leave you a positive review on Yelp. Instead, make sure your requests match up with the avenue where you want your customer to write a review. If you’re sending out an email asking for a customer review, make sure the email links to exactly where they can leave their feedback. If you want reviews on your Facebook Page, send the request via Messenger. 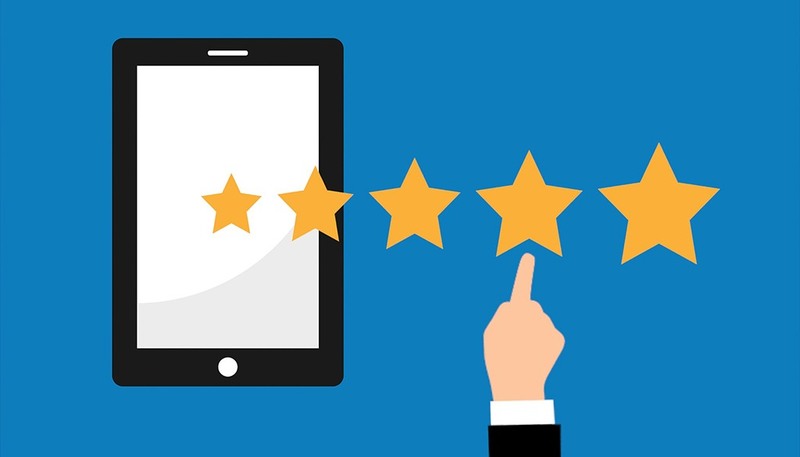 And if you have to ask for a customer review cross-platform, make the request as integrated as possible — for example, by linking to your Yelp page in your email signature, or asking customers to review their purchase from your Amazon store in a follow-up email post-purchase. Don’t start by coming out and asking directly for a customer review. Instead, start a conversation — and use an open-ended question to kick off the process. By asking customers “how are you liking the product?” or “are you ready to renew/purchase again?” or “how was your recent interaction with customer support?” you can start a conversation and gauge their level of satisfaction before actually asking for the review. Use the open-ended question to genuinely collect customer feedback — and to sneakily make sure the customer is happy before offering them a reason to submit a review. There’s nothing you can do about negative reviews coming onto various sites, but if there’s a customer who needs a resolution, focus on that before you ask them to rate your business. 7. Respond to negative reviews. Nobody’s perfect, and mistakes sometimes happen that result in a customer leaving a scathing one-star review on your website, on Facebook, or on Yelp. When you get a one-star review, though, make sure to take the time to respond thoughtfully, without being defensive, to come to a resolution. It’s the right thing to do if you work in customer service, and it could actually help your business in the long run.